Using canopies and tents is something that you don’t do very often. 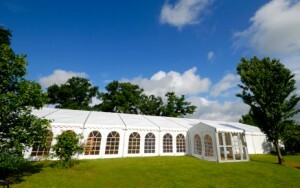 So it’s completely understandable that you’re not very familiar with the things about tentage rental suppliers. 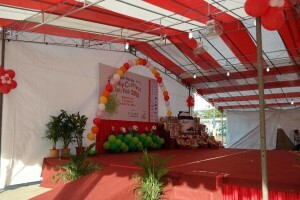 If the need for hiring a tent supplier arises, here are some tips to ensure that you get the best tent rental company and make your event a resounding success. Ask your family and friends if they know someone who can supply you with tents and party materials. Ask if they know a supplier who provides complete tentage event supplies, such as tables and chairs, glassware, decorations, audio system, and marquees. Soliciting ideas and recommendations is a good source of information since many of these people have already experienced the services offered by such companies. After hearing some supplier names, search for their services online or read reviews from their online website. Due to tight schedule, many Singapore party planners make the mistake of leaving too little time for organizing events. 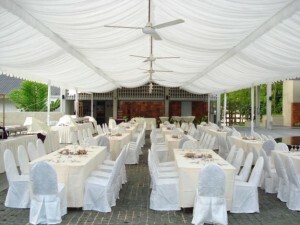 Leaving the whole planning with Nanyang Inc tent rental in Singapore until the last minute is the major reason why event planning becomes very stressful. Make sure to start researching well in advance and book your tent rental provider right away after you have decided, especially if your party is planned to take place during peak seasons. Allotting plenty of time for planning gives you the chance to search for sales and gather more options. If you’re working on a tight budget, keeping a small number of guests is the simplest way to make the biggest savings. Save most of the food for your family and invite friends later in the day, after some of the family have left. Another option is to search online for money-saving tips and ideas about do-it-yourself canopy decorations. The Internet is always a good source of ideas and tutorials that you can use for your own benefit. On the other hand, look for a tent rental company that offers a party package that includes tents, audio system, and chairs and tables. With this, you get to save a lot by paying for a whole complete package instead of paying each supplier of every material. A good tentage rental supplier will voluntarily provide you overall expenses breakdown, which usually includes transport, insurance fee, rental fee, and a lot more. However, many companies do not provide complete specification in their quoted price. Usually, quoted prices are enticingly low just to attract clients. When you ask what comprises the initial quote, you’ll be surprised to know that it’s almost close to nothing. Always ask a company what supplies and services are included in their offered packages. If you’re happy with the services they have suggested and would want to discuss the matter further, meeting them in the event site would be a good idea. Common points that usually affect the service pricing are the evenness of the ground, objects obstructing to have a leveled area (e.g. trees, steps, rocks), and if the tent to be mounted is on a hard stand.